Is CBRE Group Inc (CBG) Going To Burn These Hedge Funds? Although the masses and most of the financial media blame hedge funds for their exorbitant fee structure and disappointing performance, these investors have proved to have great stock picking abilities over the years (that’s why their assets under management continue to swell). We believe hedge fund sentiment should serve as a crucial tool of an individual investor’s stock selection process, as it may offer great insights of how the brightest minds of the finance industry feel about specific stocks. After all, these people have access to smartest analysts and expensive data/information sources that individual investors can’t match. So should one consider investing in CBRE Group Inc (NYSE:CBG)? The smart money sentiment can provide an answer to this question. Is CBRE Group Inc (NYSE:CBG) a healthy stock for your portfolio? The smart money is taking an optimistic view. The number of bullish hedge fund positions rose by 6 in recent months. CBG was in 34 hedge funds’ portfolios at the end of September. 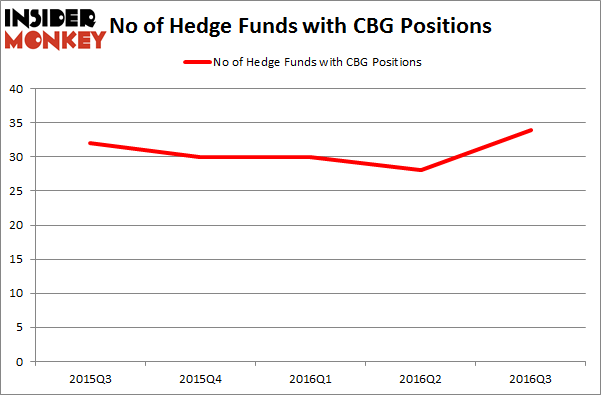 There were 28 hedge funds in our database with CBG positions at the end of the previous quarter. The level and the change in hedge fund popularity aren’t the only variables you need to analyze to decipher hedge funds’ perspectives. A stock may witness a boost in popularity but it may still be less popular than similarly priced stocks. That’s why at the end of this article we will examine companies such as ResMed Inc. (NYSE:RMD), Shaw Communications Inc (USA) (NYSE:SJR), and Cheniere Energy, Inc. (NYSEAMEX:LNG) to gather more data points. Now, we’re going to analyze the latest action regarding CBRE Group Inc (NYSE:CBG). How have hedgies been trading CBRE Group Inc (NYSE:CBG)? At the end of the third quarter, a total of 34 of the hedge funds tracked by Insider Monkey held long positions in this stock, a surge of 21% from one quarter earlier. With hedgies’ sentiment swirling, there exists an “upper tier” of notable hedge fund managers who were increasing their holdings meaningfully (or already accumulated large positions). Of the funds tracked by Insider Monkey, Jeffrey Ubben’s ValueAct Capital has the biggest position in CBRE Group Inc (NYSE:CBG), worth close to $968.7 million and corresponding to 8.4% of its total 13F portfolio. The second largest stake is held by Cantillon Capital Management, led by William von Mueffling, which holds a $237.6 million position; the fund has 3.4% of its 13F portfolio invested in the stock. 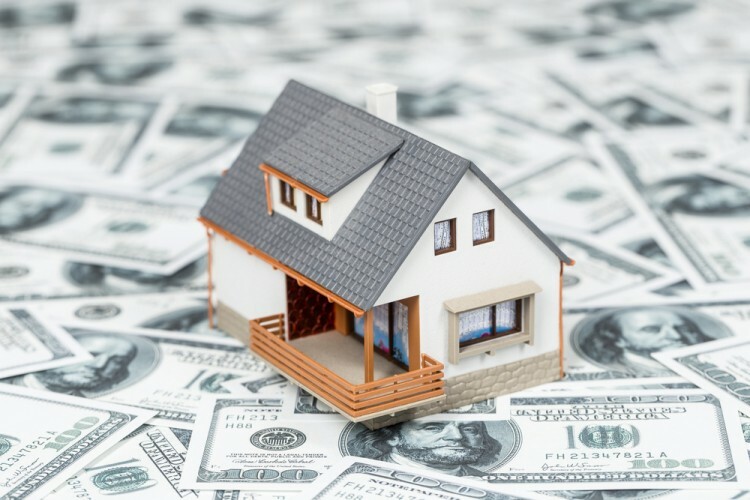 Other professional money managers with similar optimism include Ricky Sandler’s Eminence Capital, Scott McLellan’s Marble Arch Investments and John W. Rogers’s Ariel Investments. Hedge Funds Are Powering Up On Nextera Energy Partners LP (NEP) Is American Airlines Group Inc (AAL) The Right Pick For Your Portfolio? Mitel Networks Corp (MITL): 73% Surge in Hedge Fund Ownership Have Hedge Funds Found A Winner In New Relic Inc (NEWR)? Is Monolithic Power Systems, Inc. (MPWR) A Good Stock To Buy? Should You Follow Hedge Funds Out Of ArcelorMittal SA (ADR) (MT)?